Joe Bova lives in Santa Fe, New Mexico. Educated at University of Houston (BFA) and University of New Mexico (MA) his work in in many collections i.e. Loa Angeles County Museum, Mint Museum, NC, Crocker Museum, California, and published in notable books. Visiting artist/residencies include ICS Kecskemet, Hungary, University of Georgia in Cortona Italy, NY State College of Ceramics at Alfred, Penland School and Anderson Ranch Arts Center, Colorado. He is Professor and Director Emeritus, Ohio University. Past President of NCECA, he was a Fulbright Scholar, NCAD, Dublin Ireland, 2011 and the Program Chair for the 2012 IAC General Assembly. 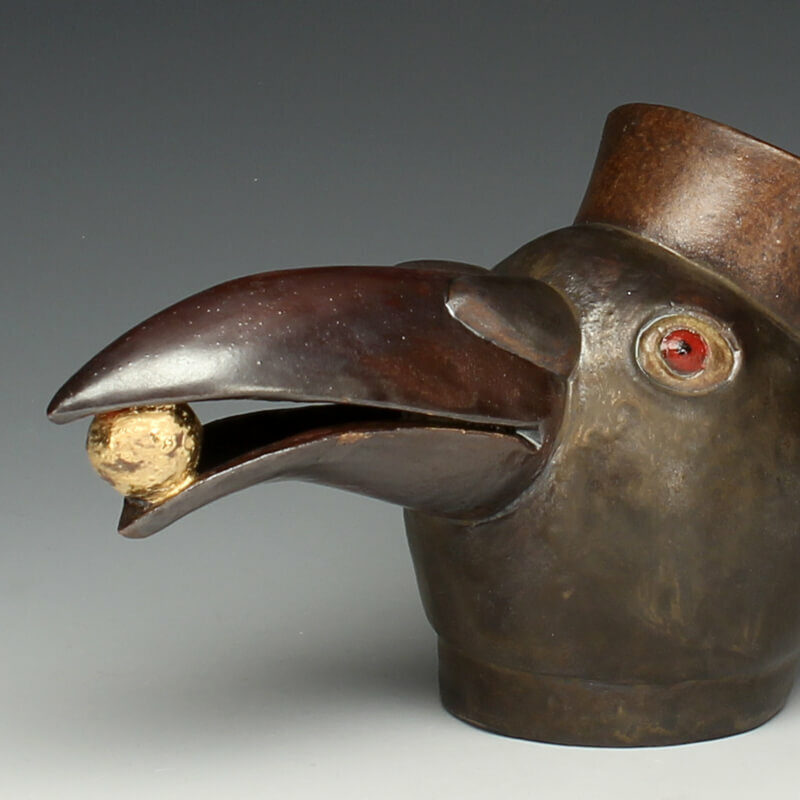 Animal imagery is the enduring subject of my ceramic art. First inspired by the realities of hunting and fishing, and later by their power as symbols, surrogates and totems I have explored this imagery within social and political commentary, eroticism, and humor. I am interested in form and the vitality of expression and gesture in clay. Decoration, for its own sake, has never interested me. Outside of nature, I look to the masterworks of the past for inspiration, particularly the Moche of Peru, Han Chinese, African Art, early Mediterranean ceramics, and lately, the powerful artistry of the Native Americans of the Southwest.